Beautifully bold, a pair of orange curtains are the ideal choice for creating a little wow at your windows. Whether you love the heat of chilli or the soft tones of shrimp, there’s no denying that orange curtains will make a bold statement in your home. For a shabby chic look choose a warm coral hue, or for a really romantic feel, pick out a print with a subtle wash of colour. For a more daring look, vibrant orange curtains in a sumptuous textured fabric will give you a truly decadent finish. 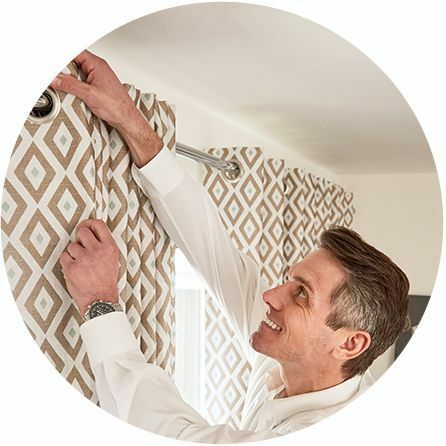 Request an in-home appointment and your local advisor will bring our entire range of curtains for you to browse at home. View all our styles up close and see how each shade works with your existing décor. We can even show you exactly how your made-to-measure curtains will look at your window with the help of our clever visualisation tool. Once you’ve found your favourite fabric, we’ll help you decide on the perfect finishing touches. 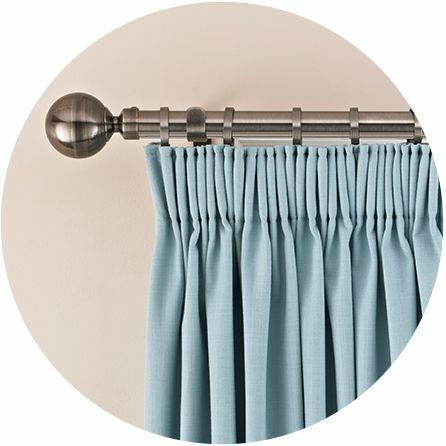 All our curtains come fully-lined as standard, with options for thermal and blackout linings too. You can also choose from a fantastic range of curtain poles and finials, tie-backs and cushion covers if you wish. Then, when you’ve placed your order, sit back and relax while we professionally fit your beautiful made-to-measure curtains.